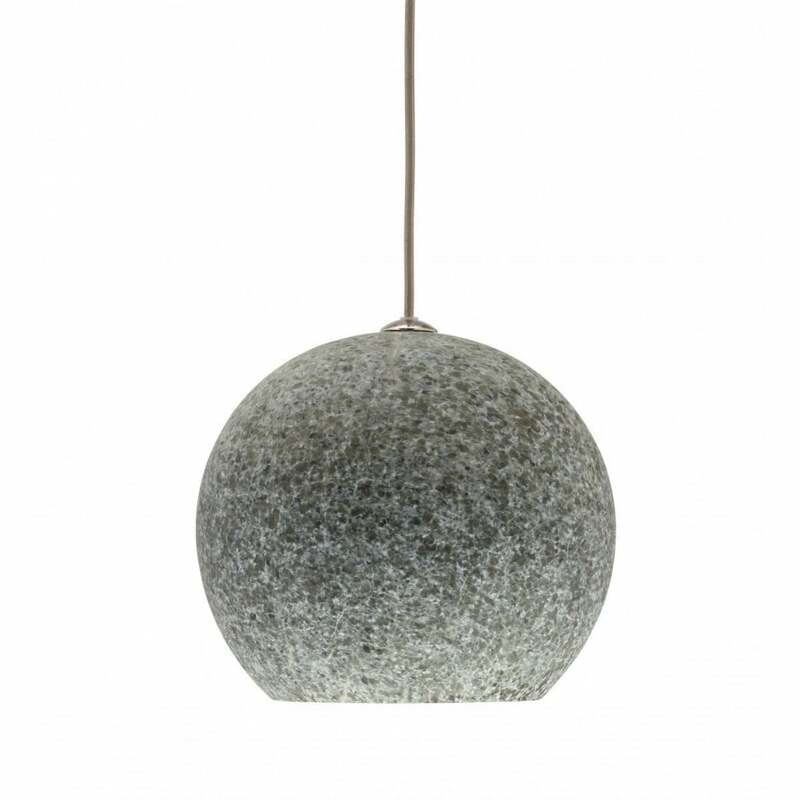 Reminiscent of a dormant rocky mass, the Asteroid Pendant by Porta Romana features a matte grey texture formed in the shape of a sphere. Hand-blown with a cracked glass surface, the pendant comes alive when lit. Lined with an opaque white sleeve, this subtle detail creates a striking ambience. A fantastic piece to use in clusters, hang at varying drops for maximum impact. Finished with nickel plated brass, the Asteroid Pendant is a must-have for any design lover.